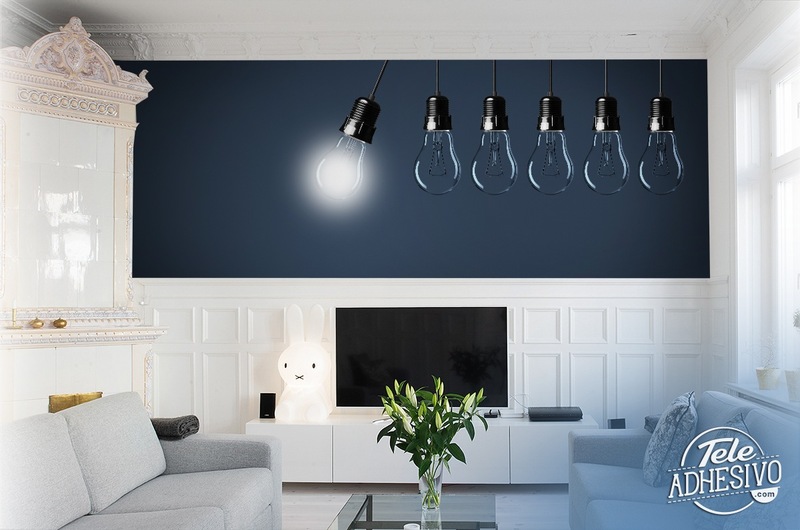 Wall mural Bulb. 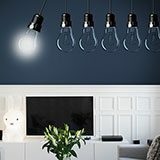 Photograph of several light bulbs hanging in a row, where the first seems to be in motion as well as lit. Beautiful composition to decorate any kind of business in a simple but original way, for the message that conveys the element of the bulb as an idea. Size: 37 x 16 cm.